Can eating healthy help prevent illnesses like cancer? Many health care professionals will tell you yes. And in honor of National Cancer Prevention Month, I’m letting you know about some of these superfoods. 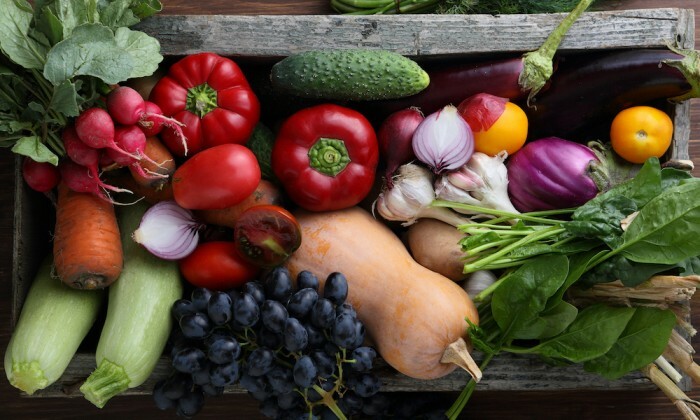 “Food Systems Approach to Cancer Prevention,” an article published in the Critical Reviews in Food Science Nutrition Journal in August 2017, revealed that bioactive compounds like polyphenols, glucosinolates and carotenoids found in fruits, vegetables, grains and legumes can suppress biological mechanisms that enable tumor growth. Large research-based academic hospitals including Massachusetts General and the Mayo Clinic also support consuming foods like berries, nuts and whole grains to furnish the body with antioxidants against cancer. Cruciferous vegetables like cabbage, kale and especially broccoli are packed with phytochemicals that protect cells from damage. Studies done on mice showed that when fed antioxidants found in cruciferous vegetables, their cancerous tumors began to shrink. Whole grains also contain bran and phytochemicals (phytonutrients) that support healthy cells. Diets high in fiber have been known to help fight against colorectal cancer. Nuts and seeds help reduce inflammation in body; they are also the premise of the world renowned Mediterranean Diet which has been shown to have proven effects on cardiovascular events and overall well-being. Berries, mushrooms and carrots may also be helpful in preventing cancer. Berries contain the previously mentioned polyphenols, while mushrooms have polysaccharides that help support cells. Carrots contain carotenoids that activate important enzymes in cells. Some carotenoids are converted into vitamin A aiding with vision and normal growth and development. Ultimately, what we eat is what fuels us. Food may even directly affect overall mood and energy level. Keep in mind, relying on supplements or a shake is not comparable to eating a whole and natural diet full of vegetables. There are nutrients found in vegetables that aren’t often replicated from other supplements. If most of your dinner plate is covered with vegetables and complemented with a healthy protein and some whole grains, you’re in good shape!